Please select an option Yellow Coffee Grass green Fuchsia Dark blue Please select a color. Please select an option M = au 8/10 L = au 12/14 Xl = au 16/18 Xxl = au 20/22 Please select a size. 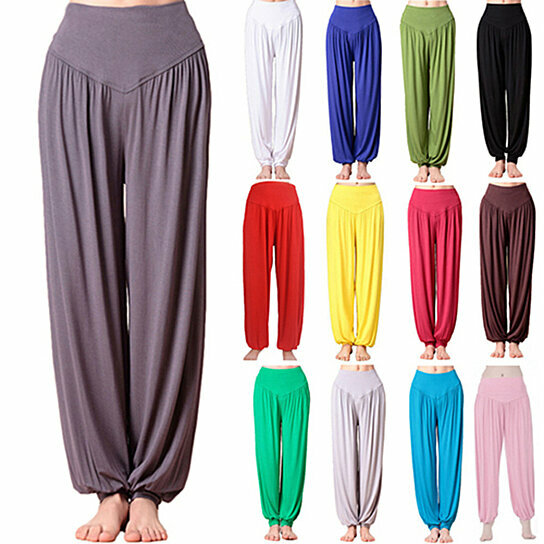 Women's harem pants yoga trousers. Fashionable and comfy, suitable to wear for yoga, belly dance or even dress up for party! These loose and comfy pants are great for lounging around the house but stylish enough to dress up and in the party! Great for all seasons especially they are suitable for parties, meditation or massage sessions, beach bumming, yoga, pilates, or dance practice and aerobics. The pants are easy to fit with an elastic waist and can be left full length or ruched at the ankles to become more 3/4 length.